So, how are you getting on with the motorhome jargon, is it a little confusing? Are you a first time buyer? When, you first start to look for a motorhome or campervan, it is a bit of a challenge. Certainly, as a first time buyer, you need to know what the motorhome jargon means. Hence, our aim here was to put you on the right road. We know from experience, buying your first motorhome or campervan, may become a bit stressful. So, if you reach a crossroads and do not the way to go, then please contact motorhomes campervans. We are “happy to help anyone”. Accordingly, when you understand that motorhome jargon, is very basic and not rocket science. 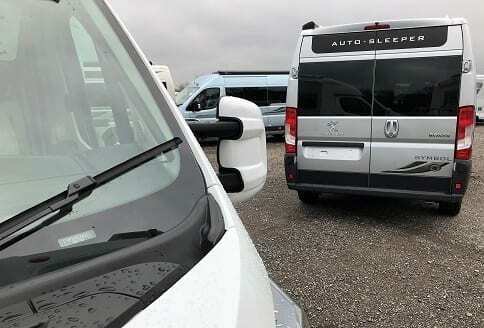 So, once you get the hang of it, just take this introduction to motorhomes, as a learning curve. OK, your lessons in motorhome jargon, are about to begin. Hit, the plus button below, to see what motorhome jargon is about! Understanding, the motorhome jargon may be easier than you think. So, just what does it all mean? Hence, some explanations, to help you understand things better. Frustration sets in, especially, if you are unable to find the right motorhome or campervan. Therefore, if you are still in doubt and give in, then just use our free service. Hence, we are on hand hand to help anyone. So, feel free to ask us about motorhome jargon, “happy to help anyone is our intention”. For example, there are many different dimensions and weights to understand. Especially, payloads, mass in running order and other technical references. If you need help then by all means contact motorhomes campervans. For reference to VAT FREE motorhome sales; All new motorhomes are subject to VAT, at the moment in time it is 20%. There were VAT free sales for genuine disabled people. Today, there remains a lot of uncertainty and many dealers will not do VAT free sales. So, on that one it is not straight forward at all! See; asking motorhome experts and motorhome FAQ frequently asked questions. Now, how do we begin to answer so many questions, about understanding motorhome jargon? Well, we decided to give it our best shot alphabetically. If we have missed something and we are bound to have done that. 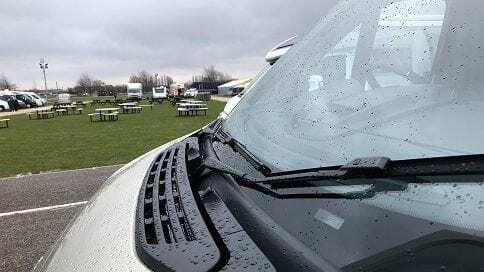 Many people get very frustrated that they cannot find an answer to a motorhome or campervan question. We want to drive those problems away and sooner than later. If you have a question or jargon buster, then please let us know. You can contact motorhomes campervans by email. We will add anything that helps people. We like to help people find things ASAP, that is jargon for as soon as possible! Don’t you just love when something works! The FB has 2 meanings the fixed bed layout or the French Bed with a curved end. Both types of fixed beds remain very popular. Many proffer a fixed or French bed layout. This is because, they do not have to be made up every night. 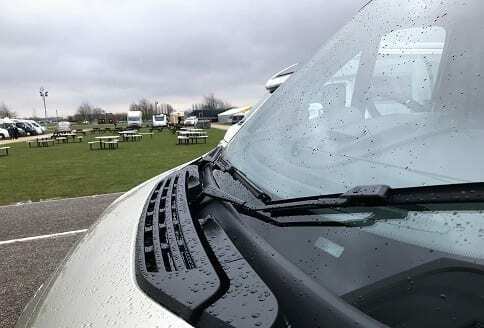 The FR is usually found on a campervan and may be also referred as a high roof. Fixed roof campervans are all about being able to stand up in. The idea is all about being able to cook inside the camper. The size of the freshwater tanks vary on different models. Most are slightly more than waste water tanks. All fresh water tanks are for water to be stored for washing and cooking. The most important thing in any motorhome or campervan is for safety. Having a flame failure device for gas appliances, this is to stop gas escaping into a vehicle if a flame goes out. Many motorhome fridges have the ability to run on mains electricity, gas and 12V leisure battery. The three way fridge is on lots of motorhomes and is an ideal way to maintain fridge and freezer temperatures. The word glamping is a posh word for having the very best on offer. This is really all about getting the very best way to go on a motorhome holiday! Taking luxury with you when in the outdoors, is what glamping is all about. As with black water the terminology of grey waste ie dirty water from sink, bathroom. This is not the black toilet waste held in a cassette. This is the grey water that has drained into the waste water tank. This usually is emptied from the motorhomes underneath. The habitation check is all about making sure that your motorhome is in good working order. This is not the mechanical service. But, this does include the safety aspects of checking gas and electric appliances. Draining and cleaning the tanks and making sure all the appliances, heating etc is working correctly. Habitation checks also, are to keep motorhome warranty up to date. As with a fixed roof, the HT high top roof conversions are to allow standing room inside the campervan mainly. The standing room provides for someone to cook and use the facility easily. Liquid petroleum gas alternative fuel to gas. The real way to help the planet is to use LPG both economically as well. More motorhomes are mooving towards this way to fuel a motorhome. The lay out is all about how you want to find things and a good layout helps sell motorhomes. How things are arranged in the motorhome, becomes a personal choice. Selecting the layout that fits your needs may be easy but sometimes people want a change of layout. Many times when parked up you are using the leisure battery. Often referred to as a second battery. The batteries charge as you go along. Many are power saving and used to power 12V lights, electrical devices saving the main vehicle battery. 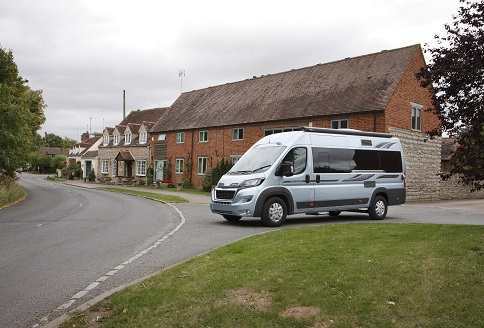 Low profile motorhomes are a popular alternative to that of a coachbuilt motorhome. The difference being the overcab on the conventional coach built motorhome is dispensed with. This then helps to allow extra storage. The lower profile is different in appearance with sleek looks. This also provides lower fuel consumption. The low profile coach built motorhome is ideal vehicle for two people who want space. From having to have gas bottles, the whole idea of bottles, is becoming a thing of the past. Liquid Petroleum Gas is now held in a tank usually under the motorhome. The fact is that because of the whole of Europe, drives on the right side of the road. This makes nearly all motorhomes LHD left hand drive. 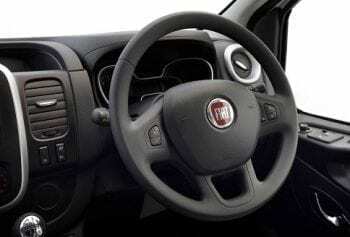 In the UK right hand drive is standard and the most popular choice. The maximum weight a motorhome can be loaded up to. Accordingly, the gross vehicle weight (GVWR), or gross vehicle mass (GVM) is the maximum operating weight/mass of a vehicle. This is specified by the motorhome manufacturers. This is also, including the vehicle’s chassis, body, engine, engine fluids, fuel, accessories, driver, passengers and cargo. However, excluding that of any trailers. The overcab bed remains a very popular layout. This is because it may be used two fold. As extra storage and as a permanently made up bed. Located over the cab of coachbuilt motorhome. The overhang has to be taken into consideration. The driving force in panel van conversion. Has to be the converting of vans more than campervans. Simply taking a van and fitting it out into motorhome specification. This has come from converting the humble panel van. Vehicles that are converted and started life as a panel van! Many makes have become popular the Peugeot Boxer, the Fiat Ducato van and many more. Payload is a dimension of weight for a motorhome. The gross vehicle weight rating better known as (GVWR) or gross vehicle mass (GVM). This is the maximum operating weight/mass of a vehicle. This is as specified by the motorhome manufacturer. This is including the vehicle’s chassis, body, engine, engine fluids, fuel, accessories, driver, passengers and cargo. However, excluding any trailers. The weight of any motorhome dictates that they will need PAS (Power assisted steering).This makes maneuvering the motorhome easy. Especially, useful when in tight spaces and parking. The Pop Top is what it says on the tin a pup up roof. This usually is the space for an extra bed inside campervans and van conversions. Also, very easy to use, it has canvas sides with ventilation zipp windows. An ideal place to sleep on hot nights. Statutory off road notification, SORN applies to any vehicle taxed on or after 31 January 1998. If it is not taxed, with a current road fund licence. The vehicle must be declared off the road. This takes into consideration that the vehicle is in storage. Bit off the road. Administered by the DVLA. The skirt panels are built around the lower edge of a motorhome. They are used as additional locker space and are often used as storage areas. They are accessed from both inside and outside the motorhome in some cases. Referred to as skirt lockers, they add storage options for quick access from outside. Many motorhomes have conventional LED lighting fitted. This does not provide fresh air and lighting. However, the roof light or sky roof does both. The window in the roof let’s light in and provides ventilation. Right hand drive, simply the driving position for motorhomes driving on the left hand side of the roads in certain companies. Rising roof an ideal way to provide space and headroom in a motorhomes. American term for a motorhome in the USA recreational vehicle! RV certainly known as large motorhomes and very spacious. Twin benches are an ideal space saving way to use as beds and as lounge seats. The most common type of motorhome toilet made by Thetford. They are space saving and used in a lot of motorhomes. The travelling seats are all about being legal to travel and sit on in safety. With seat belts fitted that are approved for traveling. The van conversion market has grown immensely. Quite simply taking a panel van and get it converted into motorhome. This is all about converting panel vans and small, medium and extra long wheel bases. Converted panel vans are carried out on all sorts of panel vans. Many manufacturers now provide all sorts of cabs to convert such as Peugeot Boxer. The waste water tank is usually fitted under the vehicle. Easily operational, to be emptied usually buy a pull leaver or drain plug. The tank holds wastewater from the sink, basin and shower. Many motorhomes are now good to go out in the winter. Many are tested to experience extreme cold and freezing conditions. Grade 3 winterisation making your motorhome winter proofed. This is a set of measurement at special centres who test winterisation on motorhomes. Retro fit accessories are available like tank blankets and many pipe insulation materials.